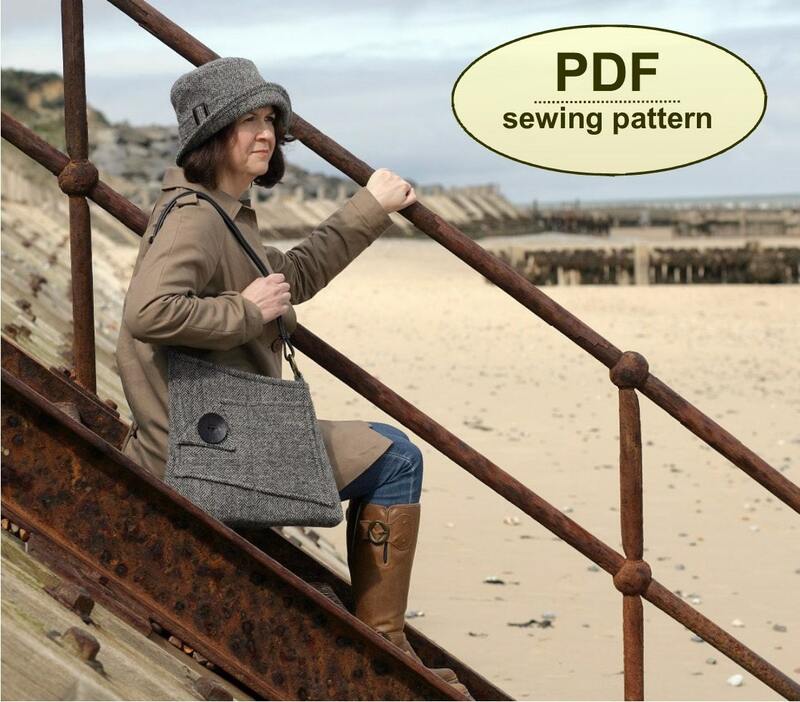 This is a PDF sewing pattern for the Salthouse Bag. A smart asymmetrical style with a simple 1940s coastal feel, it can be made in two or three contrasting fabrics or all in one. 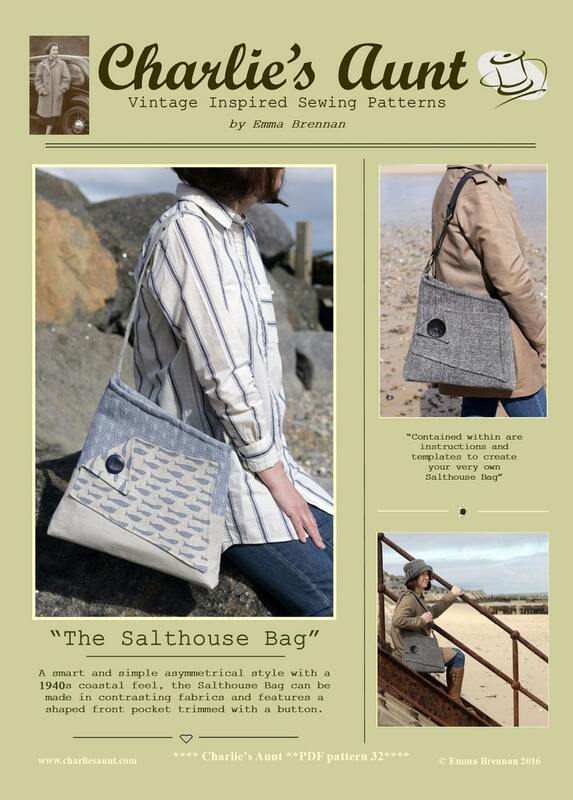 Named after one of my favourite places on the north Norfolk coast, it features a shaped front pocket trimmed with a button, and a long strap. 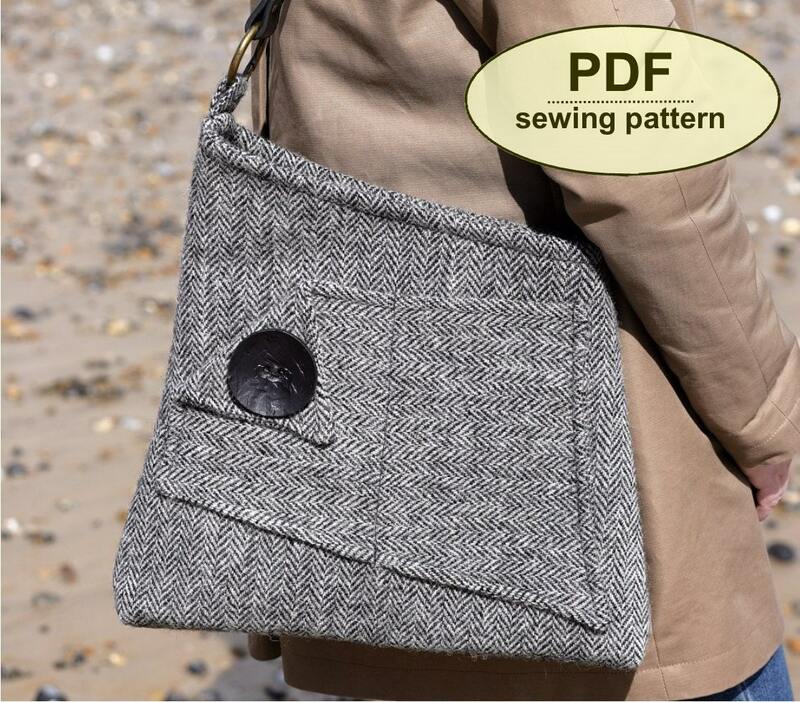 Inside there is a patch pocket and the bag fastens with a snap on the inside facing. 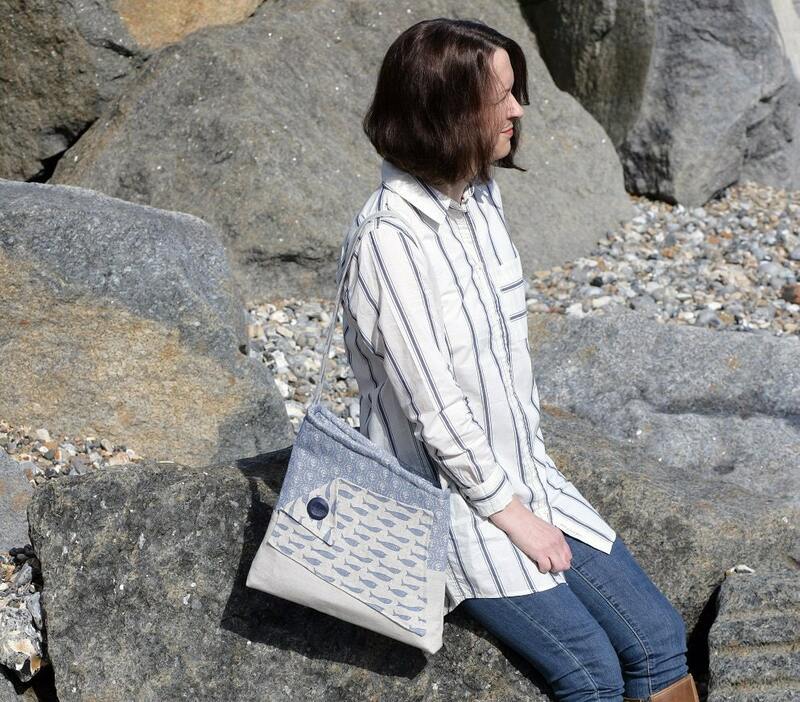 The Salthouse Bag is a good practical size for everyday use and makes up well in a variety of textiles from wool tweed for autumn/winter to British linen fabrics in quirky prints for the summer months. 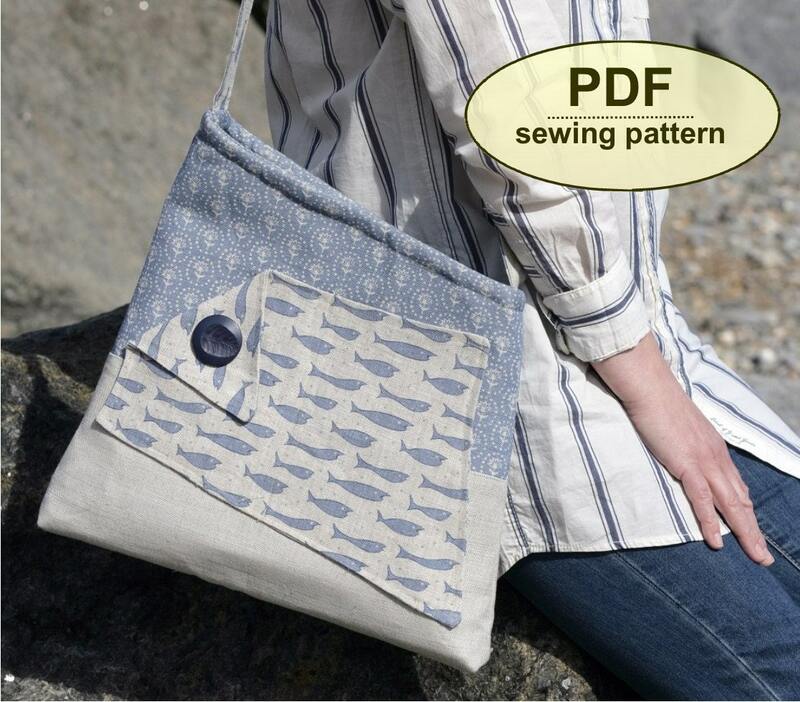 This PDF has 18 pages—10 pages including the cover, general, cutting out and step-by-step instructions, and 8 pattern sheets with the templates, which you must print and cut out. All of the templates are actual size. If you have any problems accessing the pattern, please convo us and we will give you further instructions or email it to you instead. Please remember to include your email address. We endeavour to get PDF patterns emailed to your specified email address within 24 hours of payment.